A charity based in Hereford which hopes to help young people within the Gypsy, Roma and Traveller (GRT) community to develop their digital skills, has secured funding and a coveted position on the Carnegie UK Trust’s #NotWithoutMe Accelerator programme to develop a new digital inclusion initiatives. 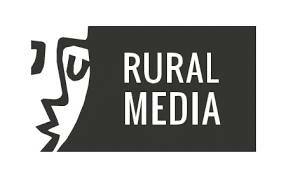 Rural Media has been awarded £3,000 and given a unique opportunity to gain valuable “start-up” support from industry experts helping to design and refine its project idea. The charity is one of only six initiatives across the UK selected for the highly competitive Carnegie #NotWithoutMe programme, which supports the development of new and engaging digital inclusion projects. At the end of this process, the charity will have an opportunity to apply for a further £40,000 funding and ongoing support. Rural Media will work with GRT young people locally and nationally to develop their digital skills through specific workshops and creative technologies including film.